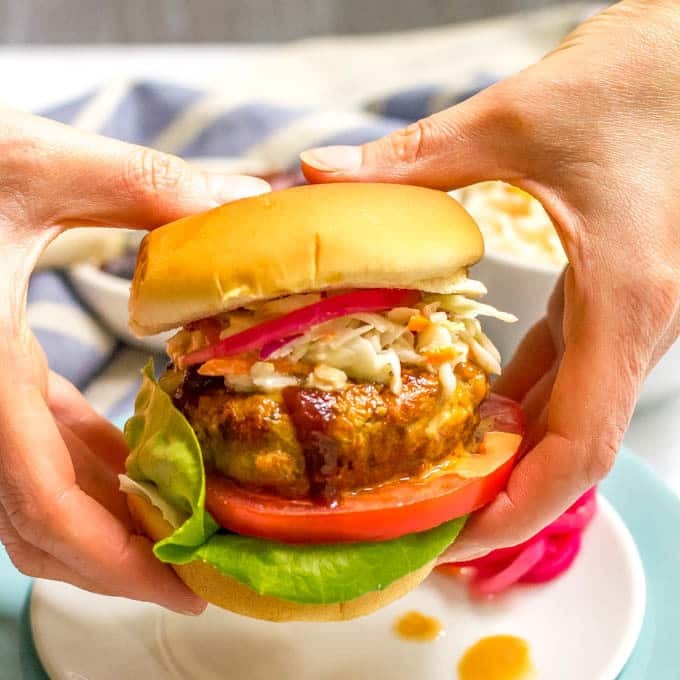 These BBQ chicken burgers require just a few basic ingredients and come out so juicy and flavorful! 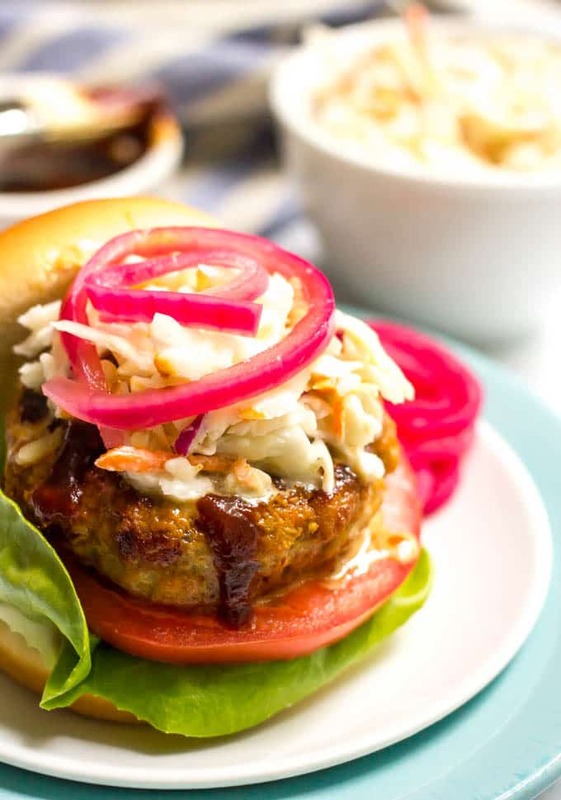 Serve with coleslaw for a delicious summer meal! Hello to Friday! We made it here again! Instead I’m going to soak up his little blonde curls and his sweet snuggles and his happy, silly attitude every chance I get! And I’ll mix up some leftover grilled or rotisserie chicken with BBQ sauce and slap it on a sandwich or over a salad for a yummy lunch. Or just dip it and eat it straight. So of course I had to use those flavors for some BBQ chicken burgers! Cause we are in burger season and I am ALL about it. 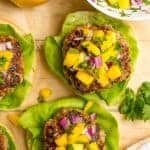 And today’s burgers come together with just a few simple ingredients and have ALL the summer tastes going on! 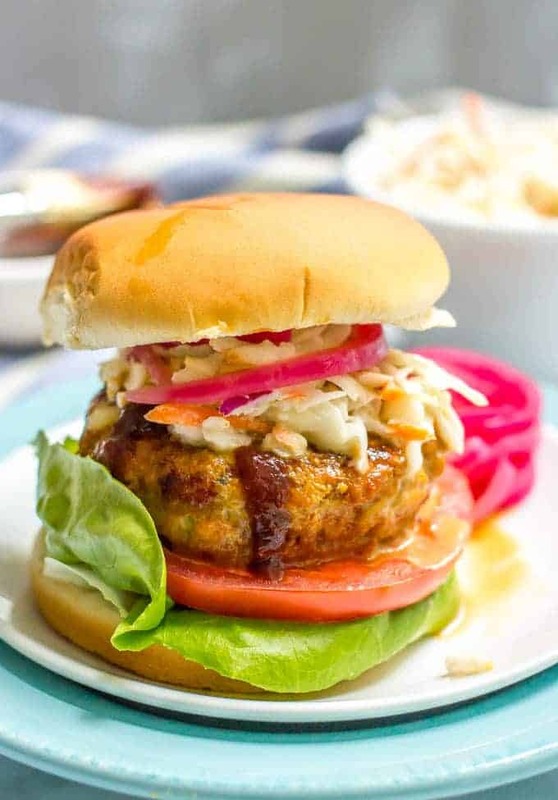 I love serving these BBQ chicken burgers with coleslaw – both on top of the burger and on the side. You can use my easy no-mayo coleslaw or a regular creamy coleslaw; whichever you prefer! 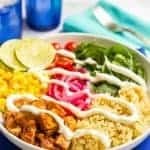 Other toppings include extra cheddar cheese and BBQ sauce, lettuce and tomato, quick pickled red onions or caramelized onions, possibly some avocado slices and any other burger fixings you love! Also, be warned, these are messy! They are so juicy inside that you’ll have the juice all over your hands and maybe running down your mouth. I cook my burgers in a pan more often than not – it’s right there and so fast – but you can grill these burgers too. Just be sure not to use a super high heat setting as ground chicken can burn rather quickly. If you can’t find ground chicken, you can make your own. Just add about a pound of raw boneless, skinless chicken breasts, roughly chopped, to a food processor and pulse until it’s broken up and resembles ground meat. 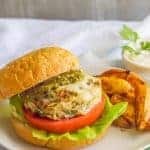 Serve these BBQ chicken burgers with my perfectly creamy potato salad and easy, foolproof corn on the cob and you’ll be in for a delicious summer meal! 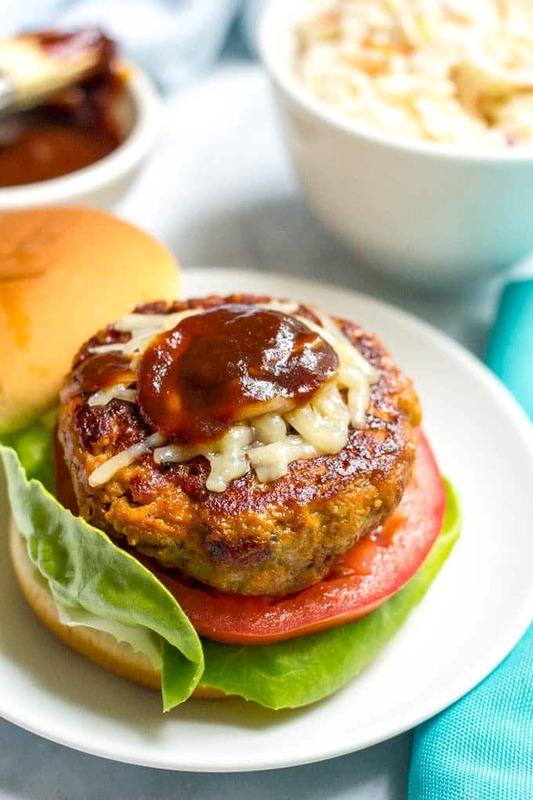 These BBQ chicken burgers require just a few basic ingredients and come out so juicy and flavorful! Mix together burger ingredients in a medium bowl until combined. Do not overmix. Shape burger mixture into 4 equal sized patties. Heat canola oil over medium heat. Add the patties and cook 6-7 minutes, then flip and cook an additional 5-6 minutes, until cooked through. 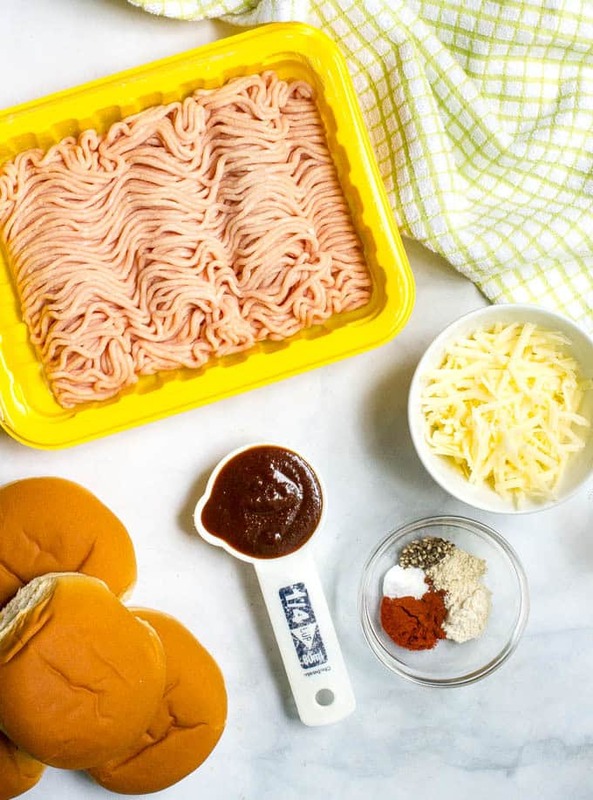 Serve on burger buns with desired toppings. You can grill these if you prefer. But don't use a super high heat setting as ground chicken can burn rather quickly. 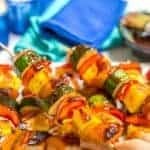 You can use homemade BBQ sauce or your favorite store-bought variety. Oh yay, thanks Erin! I’m planning to make these for dinner again tonight! Have a great rest of the weekend! Ooh I love the looks of these burgers! 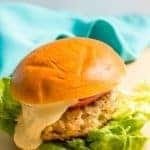 I have some ground turkey in my freezer, might have to give this recipe a try with that! You could definitely substitute ground turkey. Hope you give them a try Lauren! I put bbq sauce on burgers all the time. And bbq chicken is the best! Such a great idea. Me too! 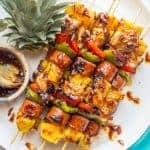 My kids have gotten so into BBQ chicken so we’ve been making these on repeat! Thank you for the healthy recipe! I’ve never used ground chicken. I’m looking forward to trying this. Your photos are beautiful! Such a good combo, right?! I hope you try these Crystal! Love how juicy these chicken burgers are! Totally trying this when we fire up the grill this weekend. They really are a juicy burger! I hope you love them Liren! Have a great weekend! Wow this look delish, perfect summer treat!